CodeTwo migration tools upgraded to version 3.0 - new features! 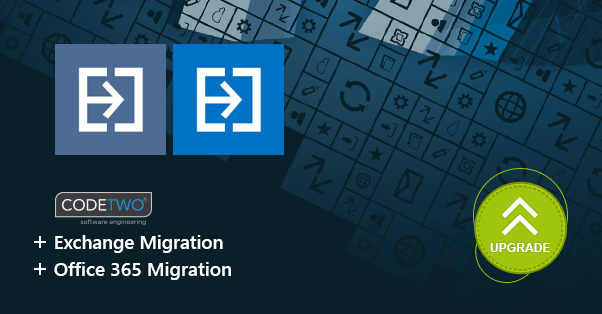 We are happy to let you know that our migration tools, CodeTwo Exchange Migration and CodeTwo Office 365 Migration, have been upgraded to version 3.0. Along with this upgrade, we have implemented significant enhancements and changes which include a completely new licensing model and support for Office 365 Germany. In version 3.0, we have introduced a completely new licensing model. This is a big change and good news, as it brings more flexibility to the way the programs can be managed. Now, it is possible to have multiple instances of the application installed on different machines, which can significantly improve the migration performance. Version 3.0 allows you to freely reinstall the software to another computer any time you need. Note: The machines where CodeTwo migration tools are installed have to be now connected to the Internet to ensure that the license count stays up-to-date. When migrating to Office 365, you have now an option to specify, which Office 365 cloud you want to connect the program to. Depending on where your target server is hosted, you can choose between Office 365 global (or simply Office 365) or Office 365 Germany. CodeTwo Office 365 Migration and CodeTwo Exchange Migration support most common migration scenarios. It is recommended to get familiar with different migration options as they determine the way migration jobs should be configured. Hybrid migration – if you migrate from, to or within a hybrid environment. 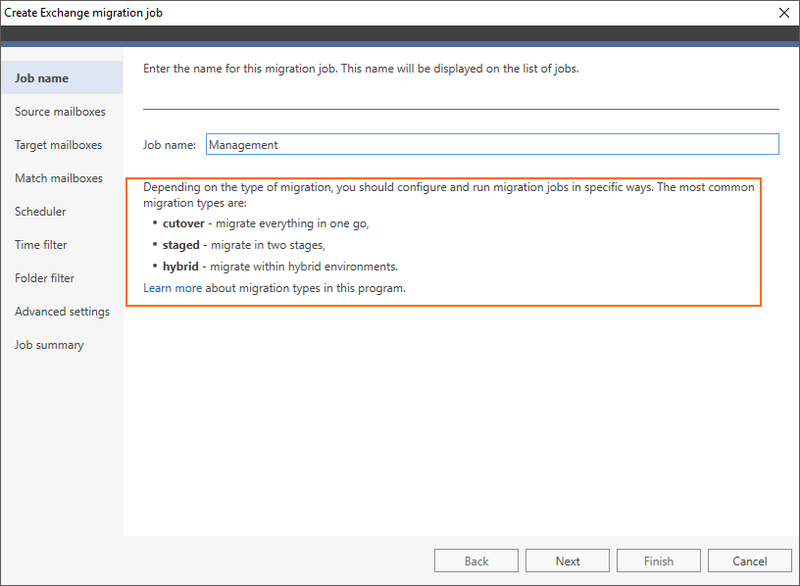 Follow this link to learn more about each migration scenario in the context of migration job configuration. You can use the Refresh email addresses feature to refresh email addresses listed in the program if they have changed on either source or target server. It is useful especially when performing cutover or staged migration. With cutover migration, this option can be used after you switch domains and change MX records as part of post-migration tasks. With staged migration, you can use it during the second phase of the migration. To get more info about the Refresh email addresses feature, visit this user’s manual article. CodeTwo migration tools have also gained a bunch of UI improvements and bug fixes to ensure better user experience. For a full list of changes, visit version history pages of CodeTwo Office 365 Migration and CodeTwo Exchange Migration. To upgrade your current installation, you first need to uninstall version 2.x from the machine and then perform a clean installation of version 3.0. All program settings will need to be reconfigured in version 3.0. However, the current program settings will be stored on your computer so they can be used in case you need to revert to the older version of the program. Important: Before uninstalling version 2.x, make sure to finish all started migration jobs. Finishing those jobs in version 3.0 may create duplicates in the target server. After the upgrade, you can migrate all remaining mailboxes. Bear in mind that re-running migration for mailboxes already migrated in version 2.x, will cause duplicates. To avoid that, delete the content from the target mailboxes and set up a new migration job for those mailboxes. How to upgrade CodeTwo Office 365 Migration? How to upgrade CodeTwo Exchange Migration? If you have any questions regarding this upgrade, do not hesitate to contact us. We are open 24 hours a day, Monday through Friday.